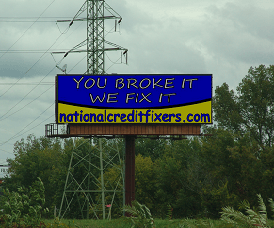 Here at National Credit Fixers, we use a variety of techniques to spread the word about our company and our excellent credit repair service. Many of our clients find us simply by searching the web, and ending up on our website. Even more hear about us through referrals. 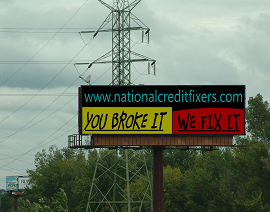 When you fix credit as well as we do, everyone is quick to tell their friends, family and coworkers! But to ensure that our name gets out to the most people possible, we have taken steps to showcase our company even more! 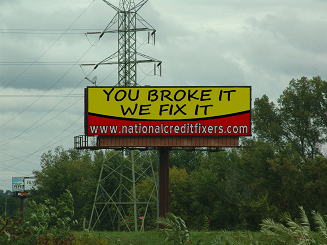 If you drive on 84 near Hartford, CT, you probably caught one of the series of billboards we ran. Or, if you listen to Hartford/Springfield area radio, you might’ve heard one of our radio spots! We have also been featured in a variety of different magazines and websites: including the National Mortgage Professional Magazine! Check out some of the samples below!